Best musical discoveries of the past year: Damien Dempsey (thanks Mick! ), London Grammar, and Matthew & Me (thanks Seth! ); oh, and I’ve just discovered Birdy. I’ve particularly enjoyed reading Adrian Grant’s Irish socialist republicanism, 1909-1936, the first volume of Matt Treacy’s two-volume critical history of the CPI, The Communist Party of Ireland 1921 – 2011: vol 1, 1921-1969 and also his The IRA 1956-1969: Rethinking the Republic. Although I bought it several years ago, I’m only finally getting round to reading Pete Frame’s The Restless Generation: How Rock Music Changed the Face of 1950s Britain. 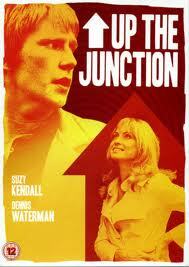 And, for a course I teach, I had to re-read Nell Dunn’s 1963 classic Up the Junction and also watch the film (which bears little relation to the novel, which is actually more a bunch of vignettes than a novel). Very enjoyable, anyway. Haven’t had the time to see much. The two films I’ve liked most this year are old films I had to watch because I use them in a course I teach: The Loneliness of the Long Distance Runner (black and white, 1962) and Up the Junction (colour, 1968). Really liked both, except the film of Up the Junction, apart from being fairly different from Nell Dunn’s original book, is kind of odd because so much in Britain had changed between when the book was published and when the film was made. For instance, one of the most moving parts of the book, and also the TV play that Dunn and Ken Loach put together in 1965, was the backstreet abortion scene. But having that scene in the 1968 film didn’t really make sense, because abortion law was reformed in 1967 and so, by 1968, Rube might well have been able to get a legal abortion. Quite a few students in the class didn’t much care for Polly, the main character, but I like her. Liked her the first time I saw the movie, on TV a few decades ago when I was a kid, and still do. Most memorable moment of the past 12 months – not really a leisure moment! Armed gardai threatening to burst in the double doors of an old mate’s cabin by the Glen of Imaal (in mountainy west Wicklow) early one Saturday morning in the middle of last year. At one point their sledgehammer made the whole cabin shake; sé do bheatha abhaile! The banging of the sledgehammer and the shaking of the cabin was also like being back in Christchurch (New Zealand) during one of the main earthquakes. The guards raided the place and stuffed up our plans to go to Kerry for the weekend; we had to settle for an afternoon drive over to the old Parnell house at Avondale instead. Pleasant, but not quite a trip to Kerry! 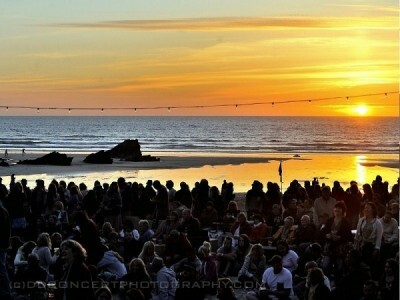 Sunset at Lusty Glaze. The photo on the right (from the Seth gig) doesn’t give you a sense of the cliffs on three sides, but is evocative of that great gig there on June 2. And as for Seth and Sean, Ben, Cormac and Lisbee playing “Setting of the Sun” as the sun dipped into the Celtic Sea behind us (the point at which this photo was taken) – spine-tingling! 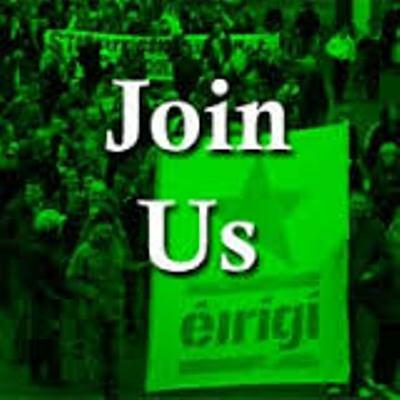 On Monday, May 5th, éirígí Baile Átha Cliath will mark the 33rd anniversary of Bobby Sands’ death on hunger strike with the annual Black Flag Vigil. All are welcome. 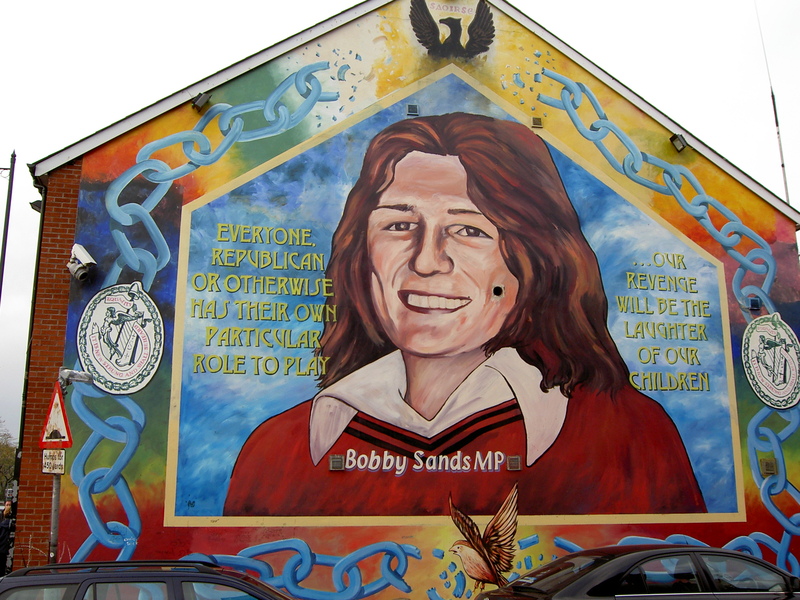 Flags and images of the 1981 Hunger Strikers will be supplied. Vigil will last for one hour between 5pm and 6pm on O’Connell Bridge. Bígí Linn.